Oh, hi there! Welcome to Heybi. My name is Biyan Pasau, and this is my new project. Over these last several years, I am constantly designing theme for many platforms from Blogger to Wordpres and selling them into various marketplaces e.g. Themeforest, Creative Market, and even Etsy. Waking up early in the morning, doing some designing and coding have become something that are genuinely enjoyable for me because I can do it whenever I want to. And, the thing is I am able to make a living out of it. This has opened my mind about passive income and now it is my career, and I couldn't be happier. This is not my first project. 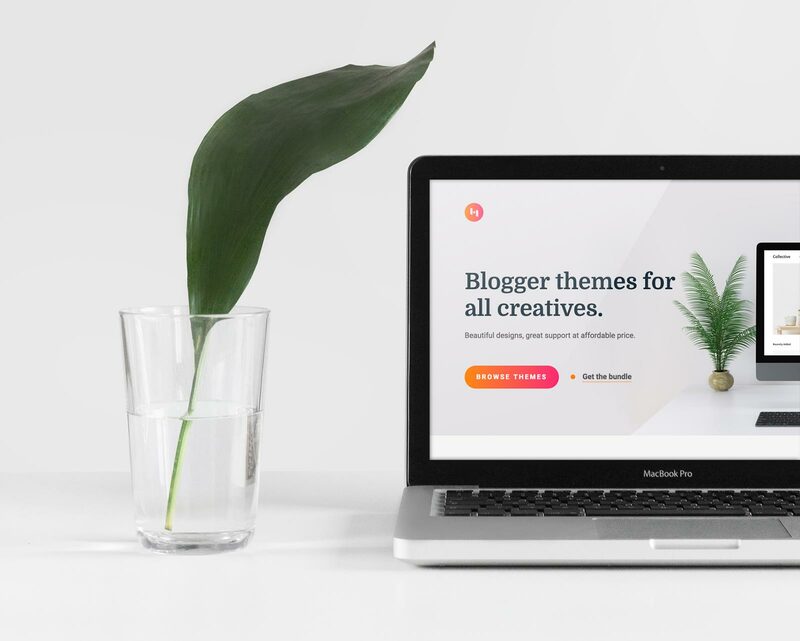 If you are active on Blogger, you may have heard of Dzignine or Extensv, which both have the same content with a little touch of rebranding to make it more personal. And then, here is Heybi. The purpose of this project is not to build a new marketplace, but to develop a personal store and portfolio to act as my intermediary of doing experiments and collaborations, providing educational and innovative creations for you who are using Blogger platform — yes, only Blogger. Therefore, I am offering several Blogger themes; Collective, Demi, Pacific, Tiffany, Citrus, and Mocha in one download package. I think they're all pretty sweet, but I'll let the people decide. Be sure to check the demo page to see them all in action and don't hesitate to ask me questions regarding our beloved platforms. Anyway, enough of all that. I hope you enjoy Heybi. Looking good dude. I was wondering where you went. Cheers mate!